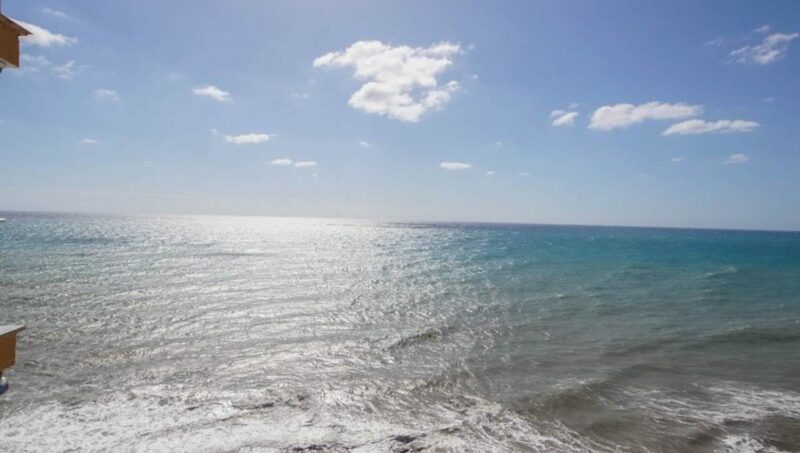 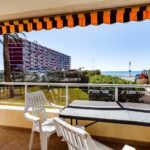 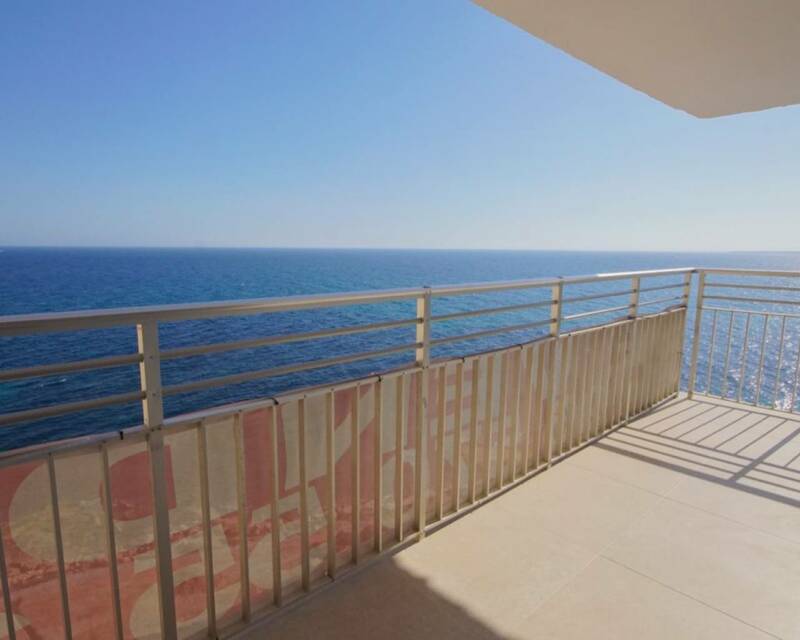 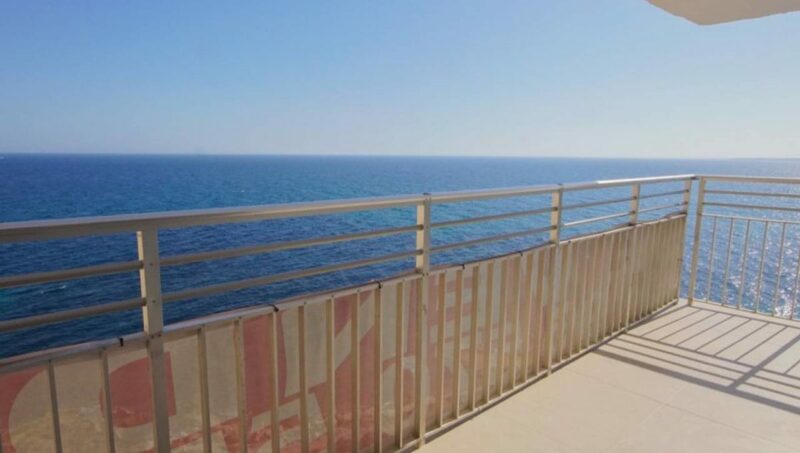 Incredibly unique renovated apartment with frontal sea view for sale on the beach of Playa del Cura in Torrevieja. 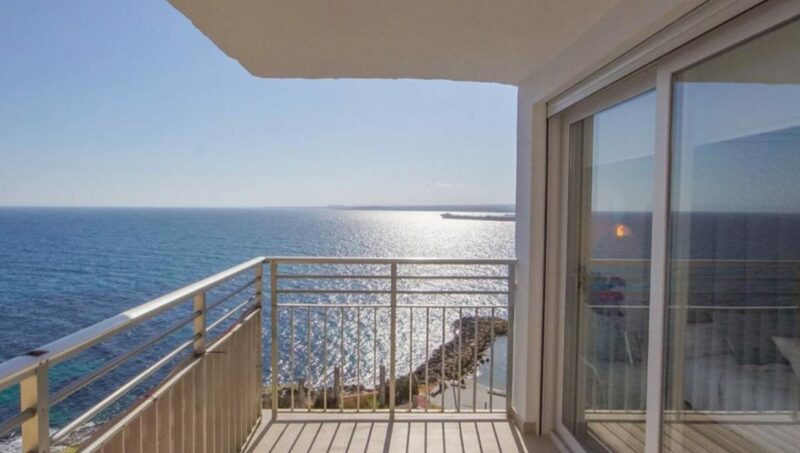 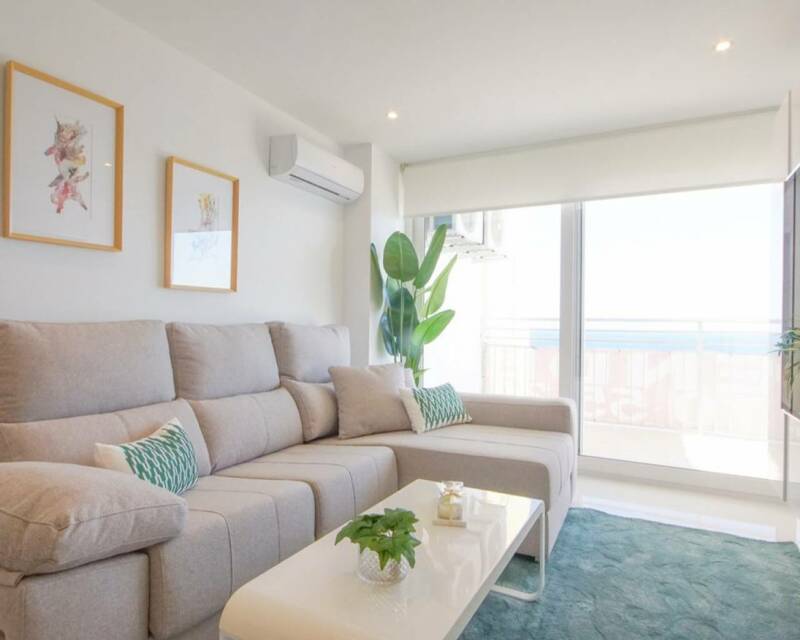 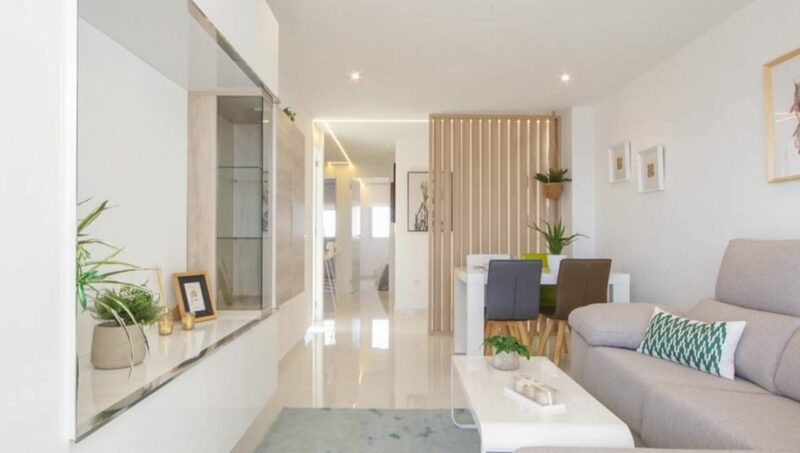 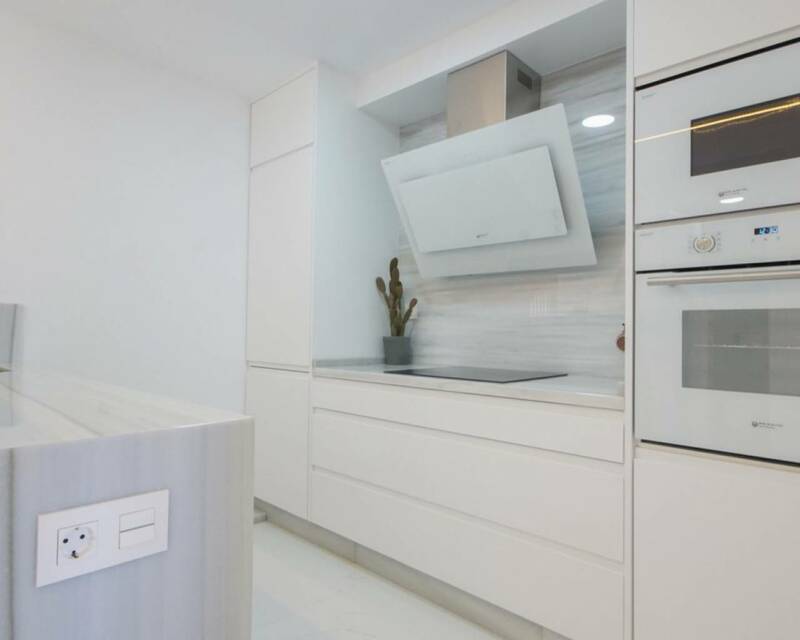 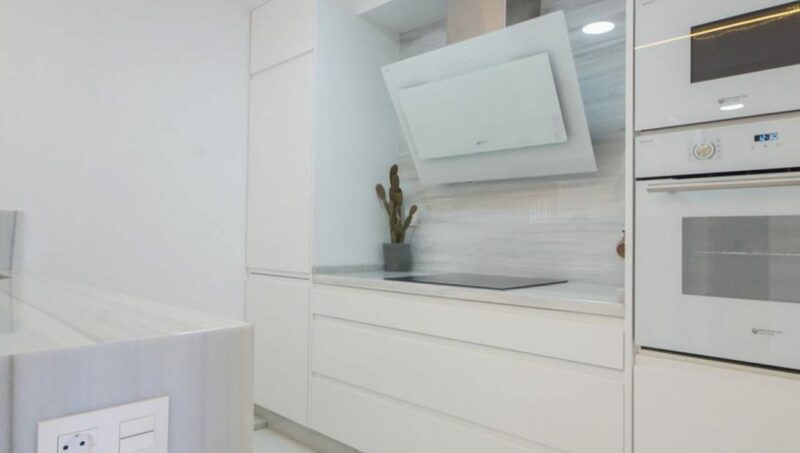 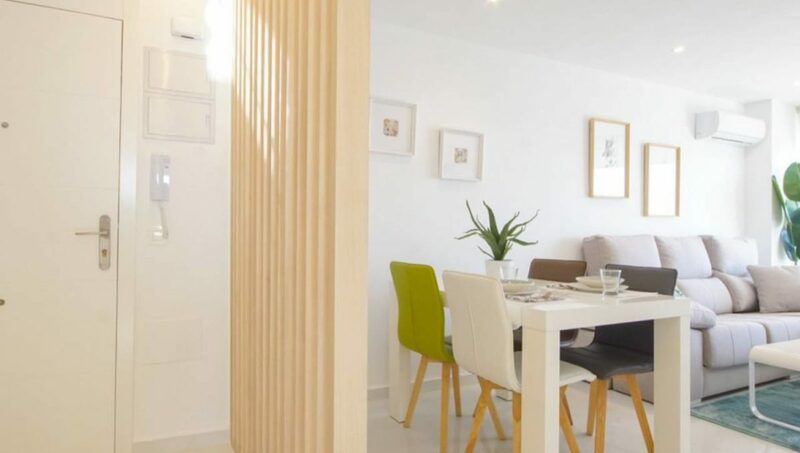 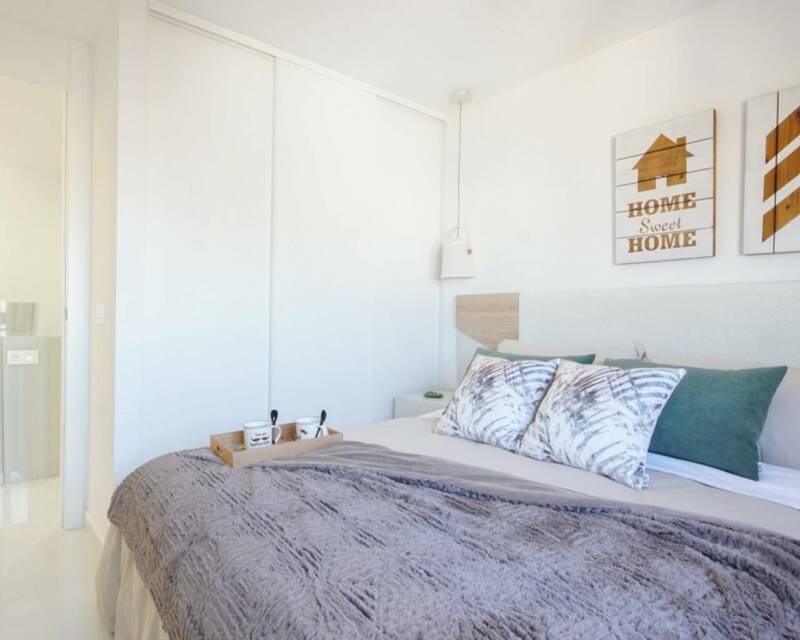 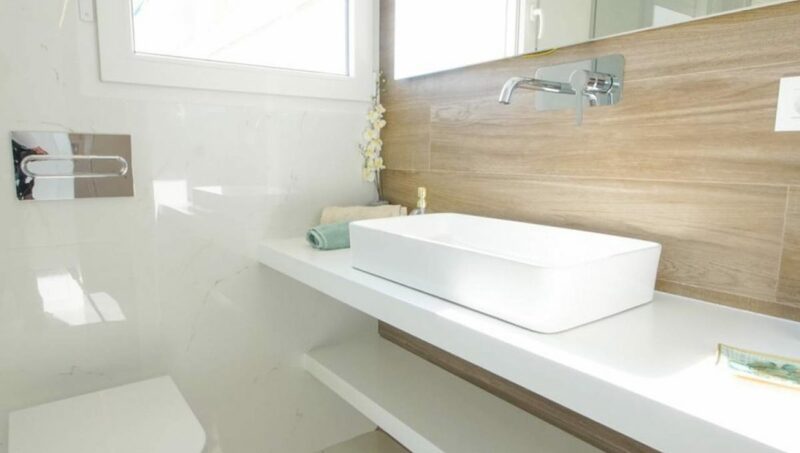 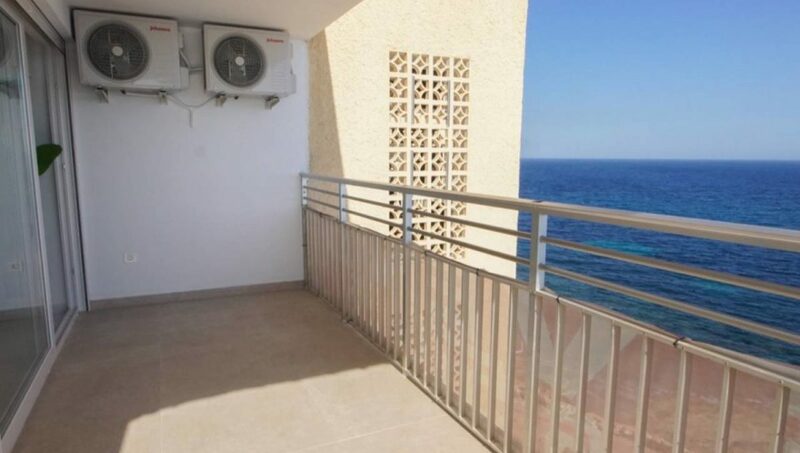 Incredibly unique fully renovated apartment with frontal sea view on the beach of Playa del Cura in Torrevieja. 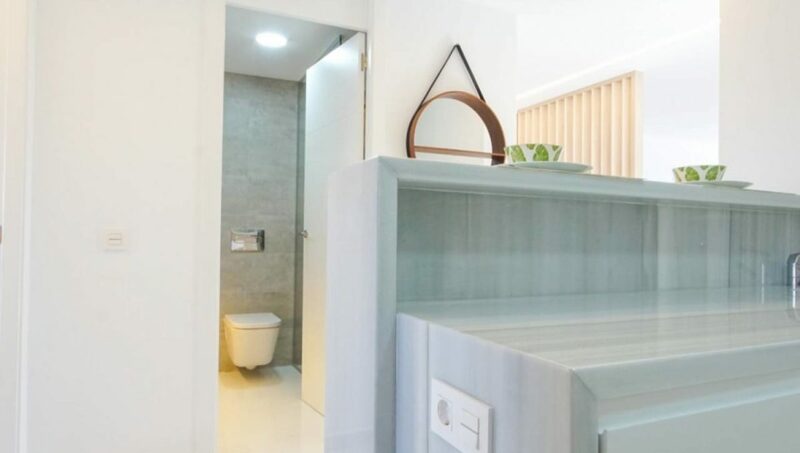 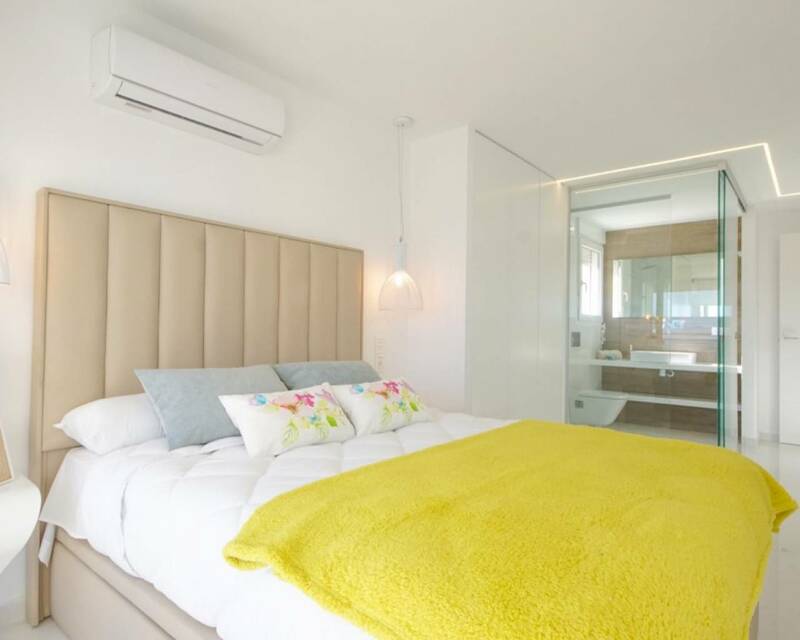 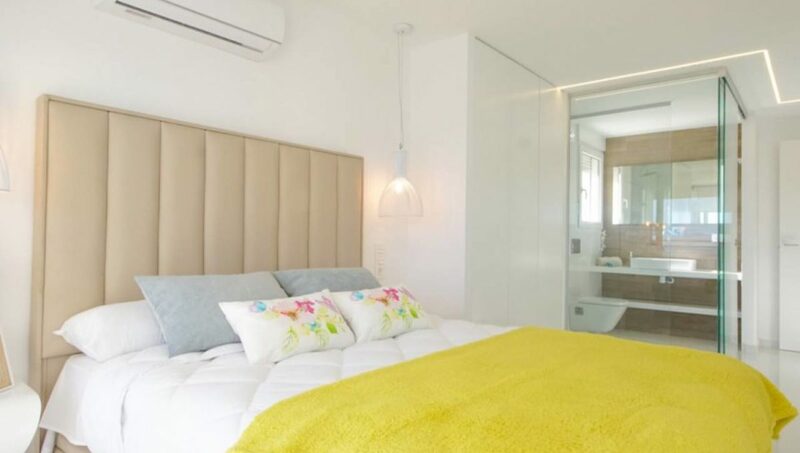 The apartment has been renovated with a special eye for detail and fully in line with contemporary trends. 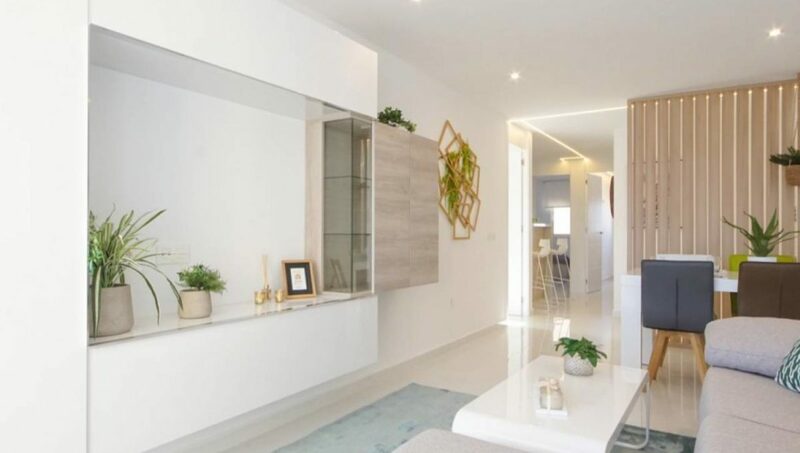 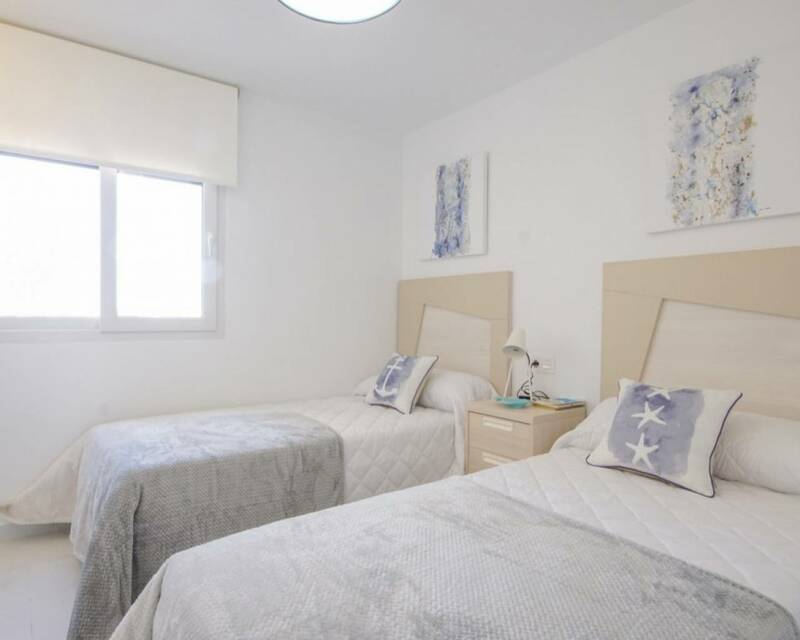 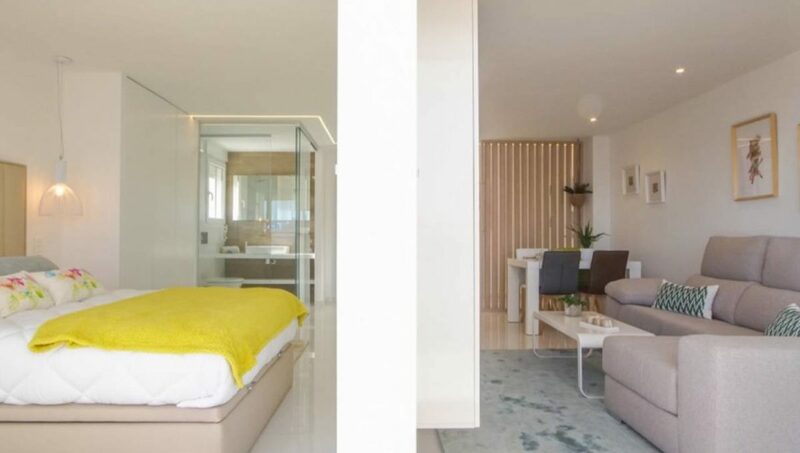 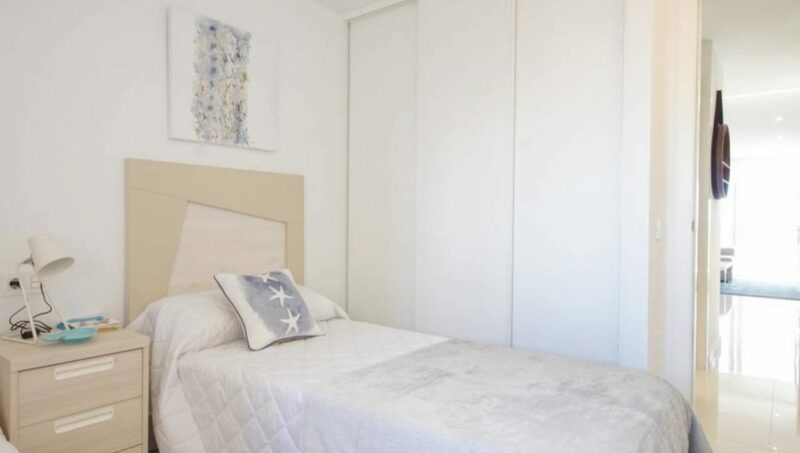 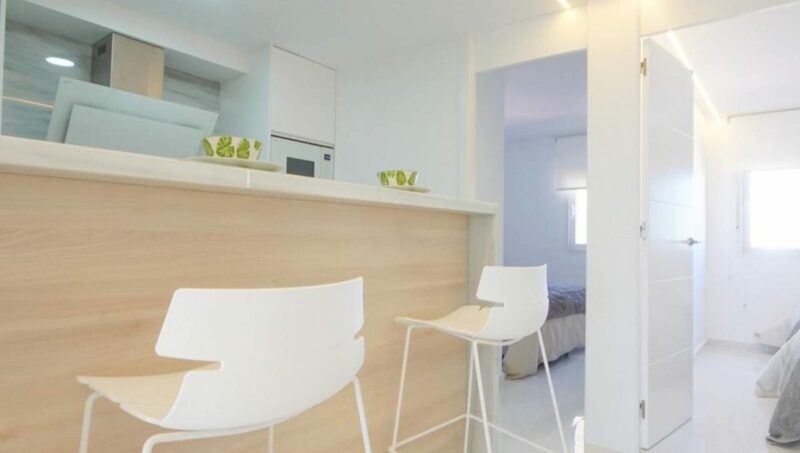 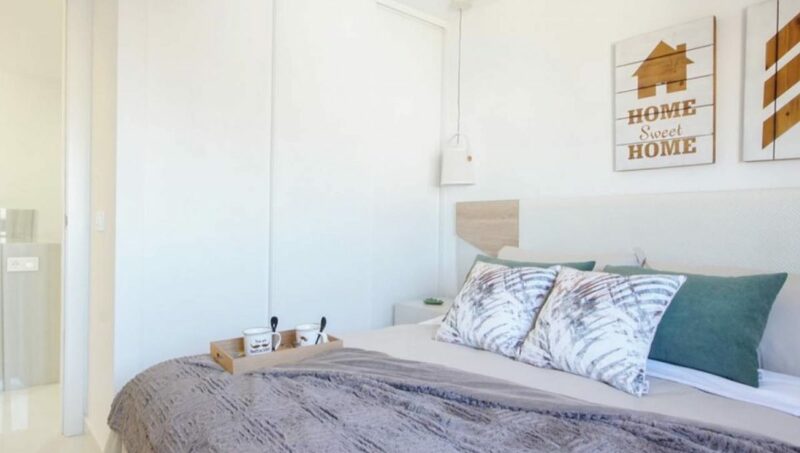 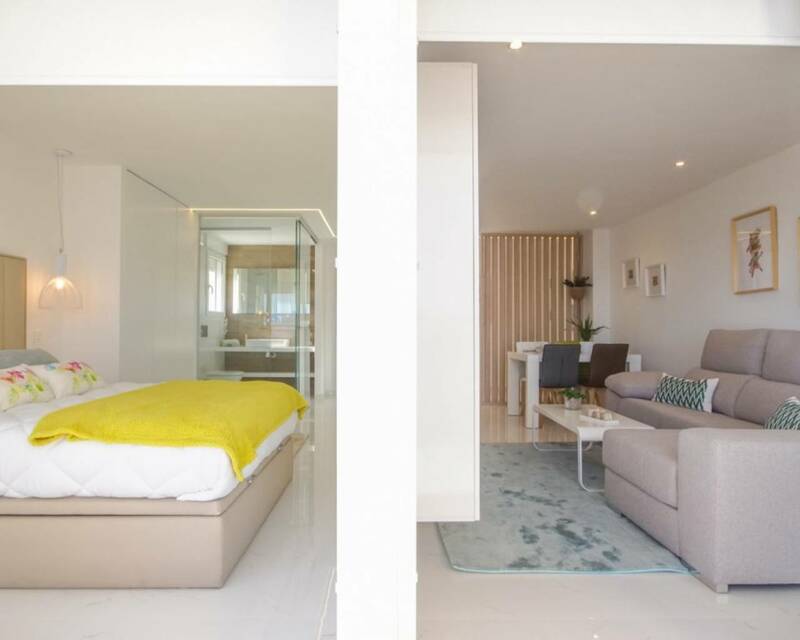 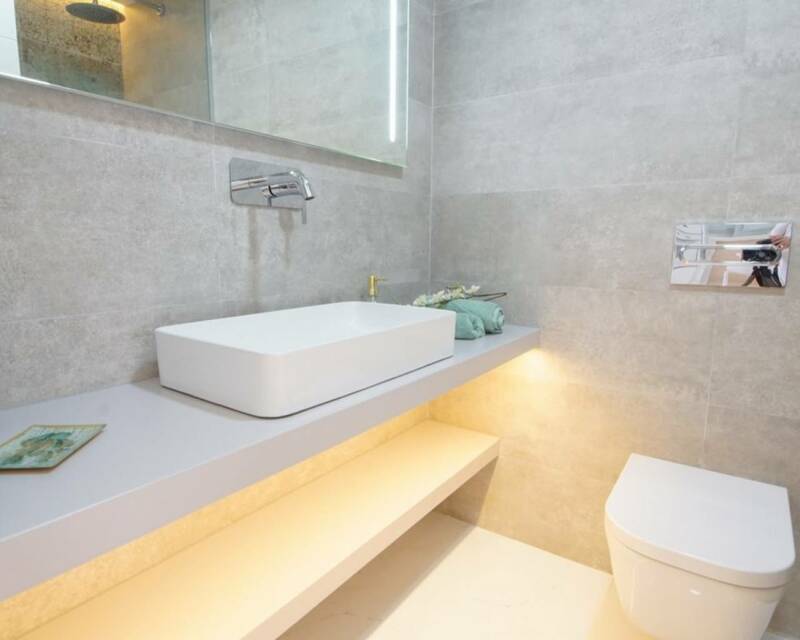 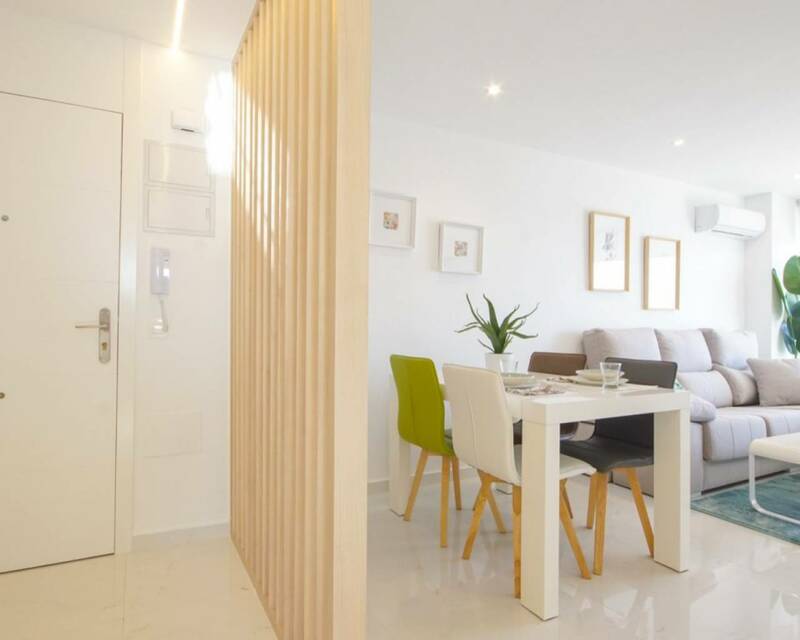 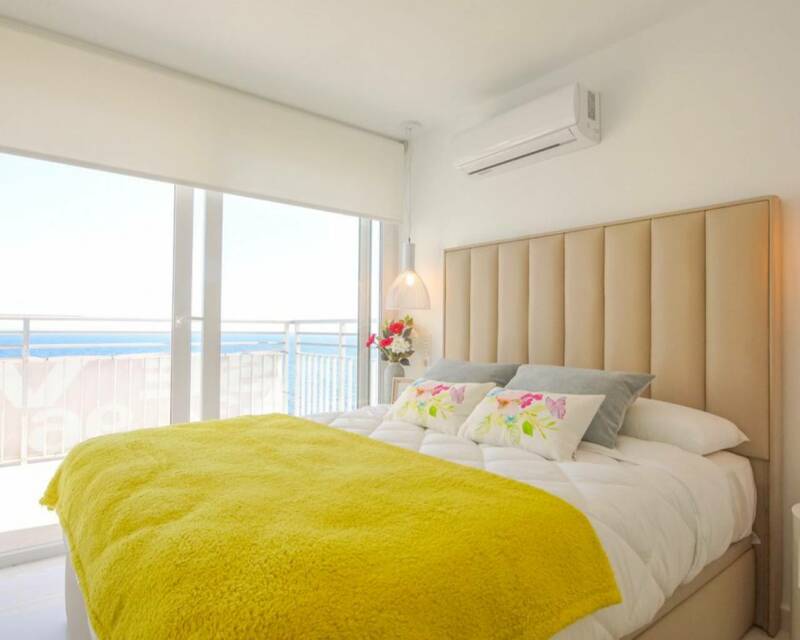 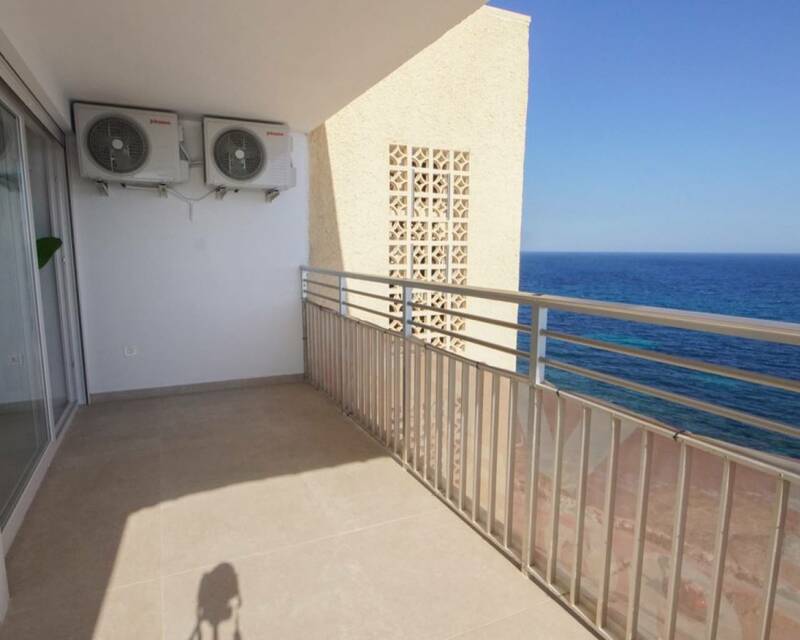 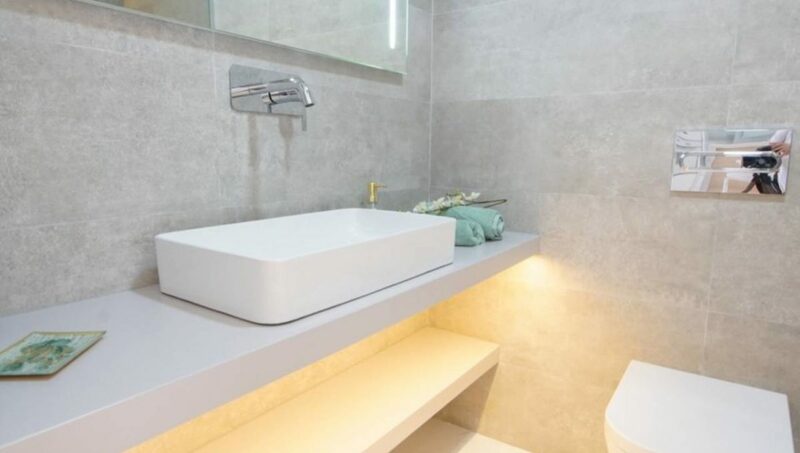 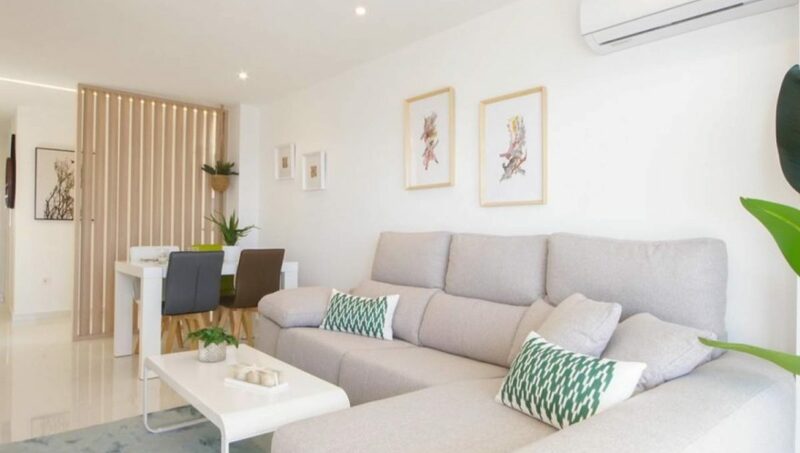 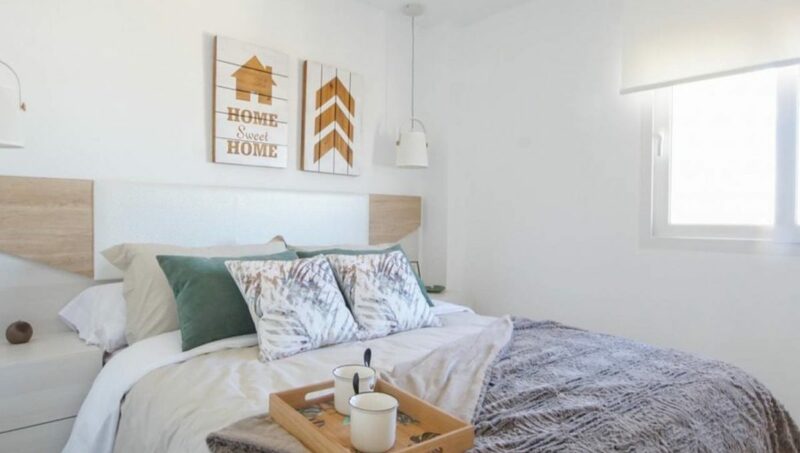 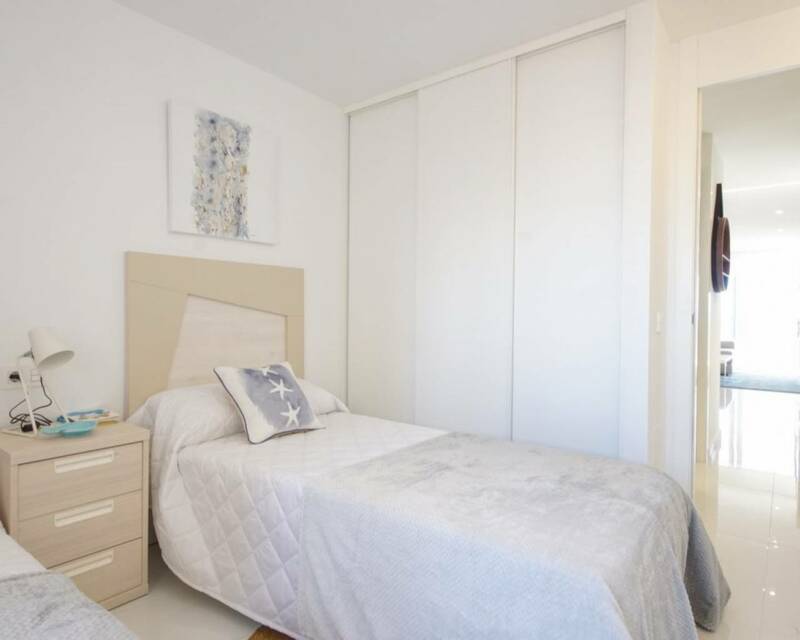 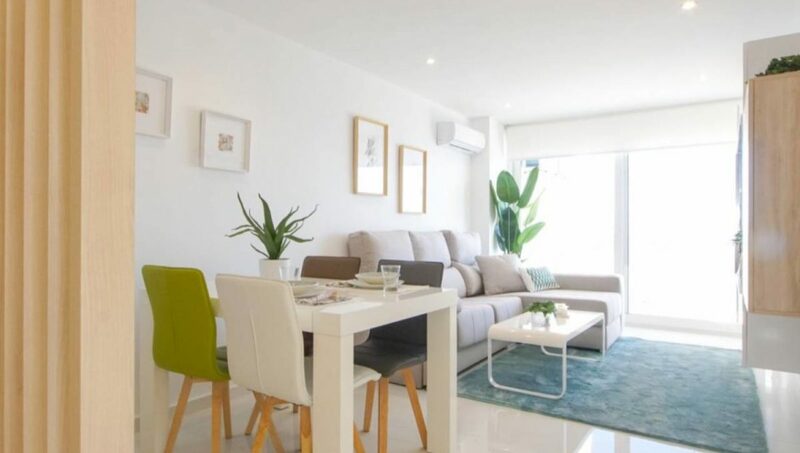 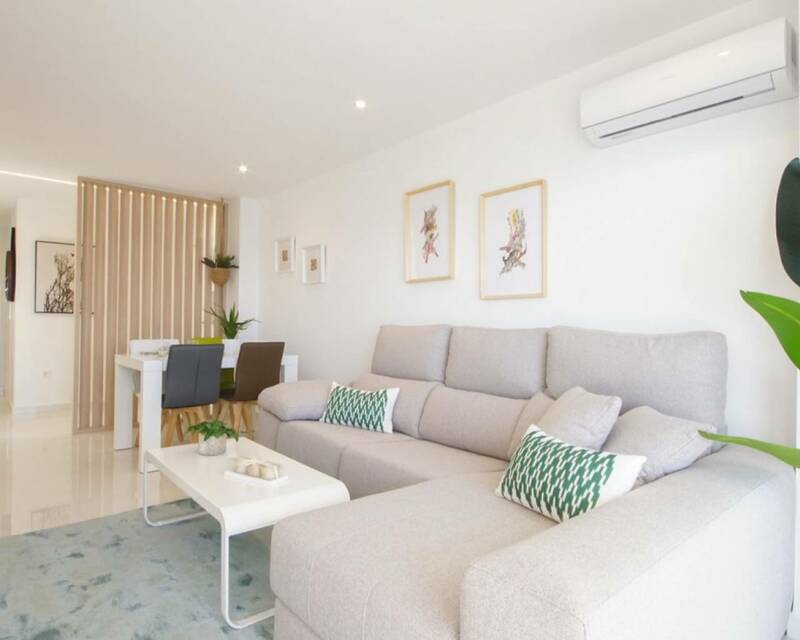 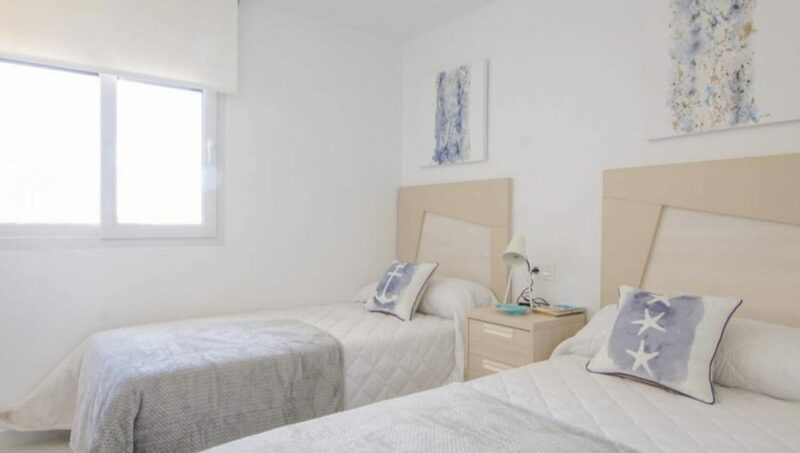 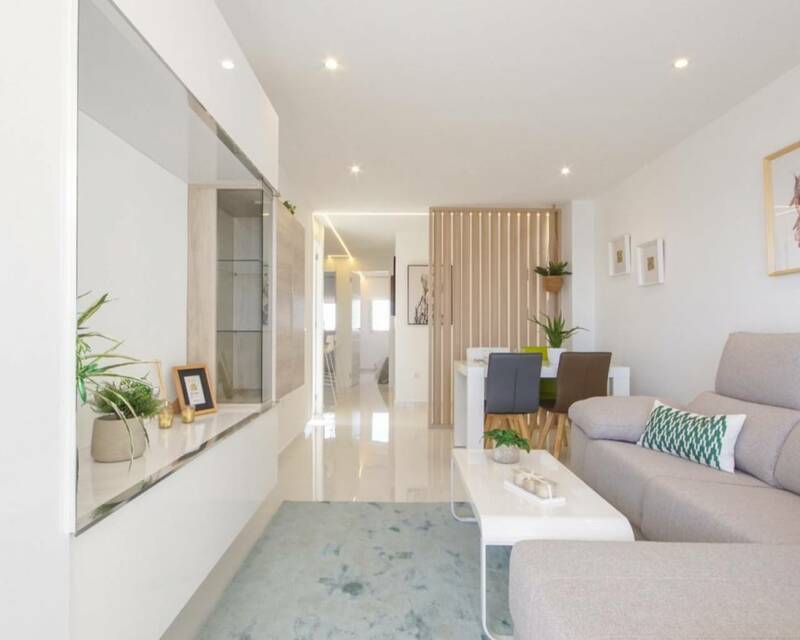 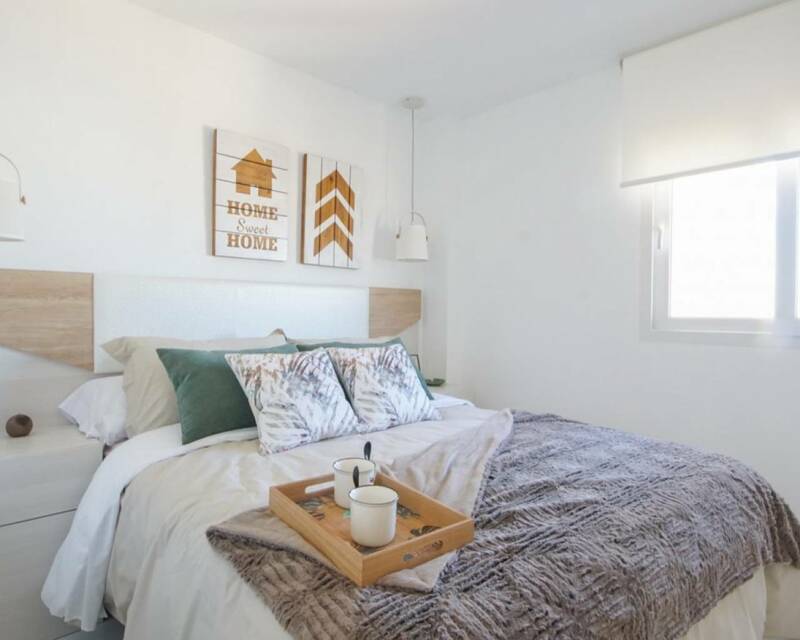 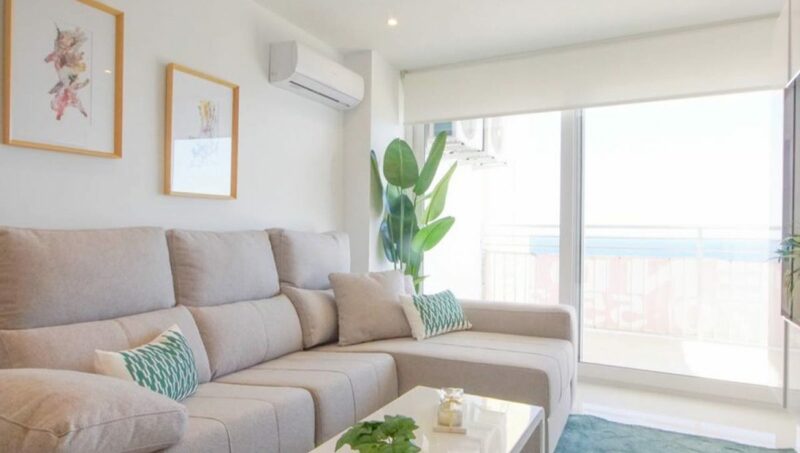 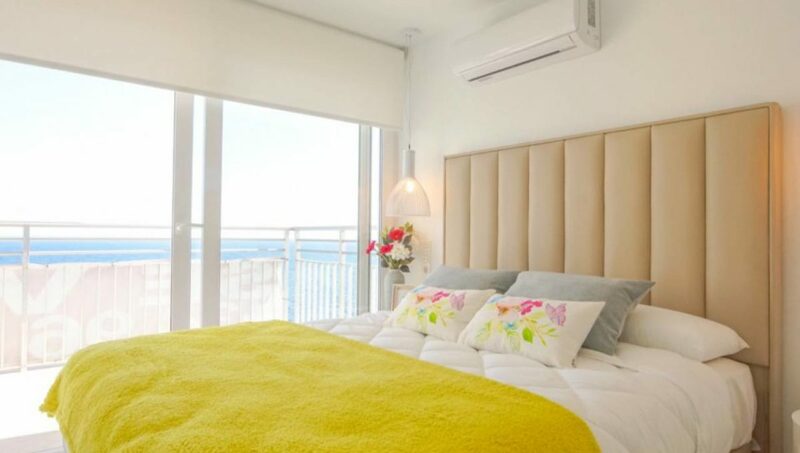 There are three bedrooms with fitted wardrobes, two full bathrooms, one en-suite, a spacious and bright living room with an American modern kitchen with breakfast bar and a large terrace with frontal views on the Mediterranean sea! 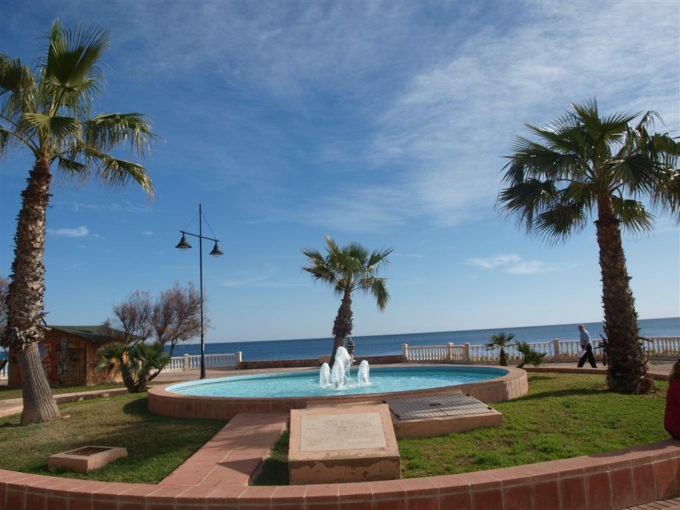 Without crossing a single street you walk to the beach of Playa del Cura and you can stroll along the promenade that runs along the coast of Torrevieja. 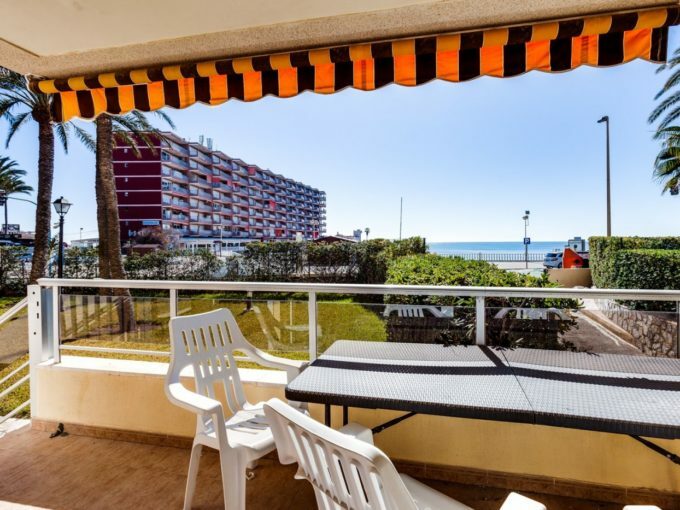 There is a wide range of local bars, restaurants, shops, ice cream parlors etc …. 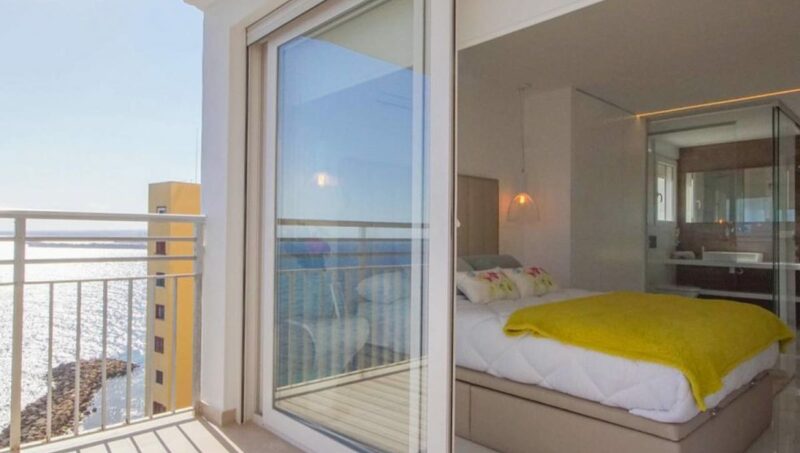 In short, a “DREAM” for a perfect holiday without thinking about the rental investment you can raise here. 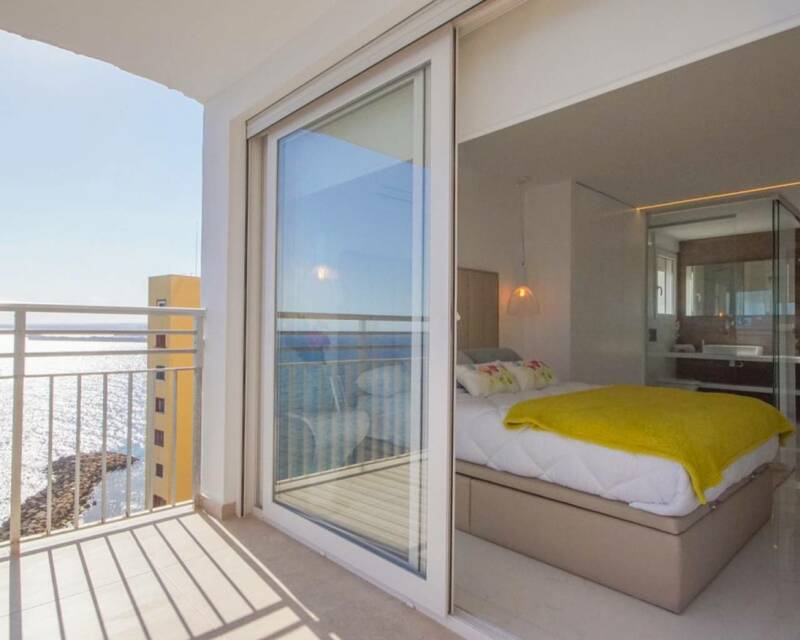 Because be honest, who does NOT want to wake up here? 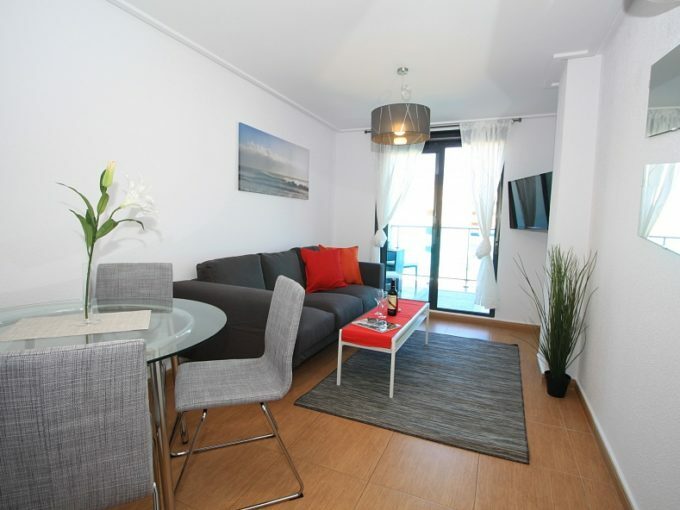 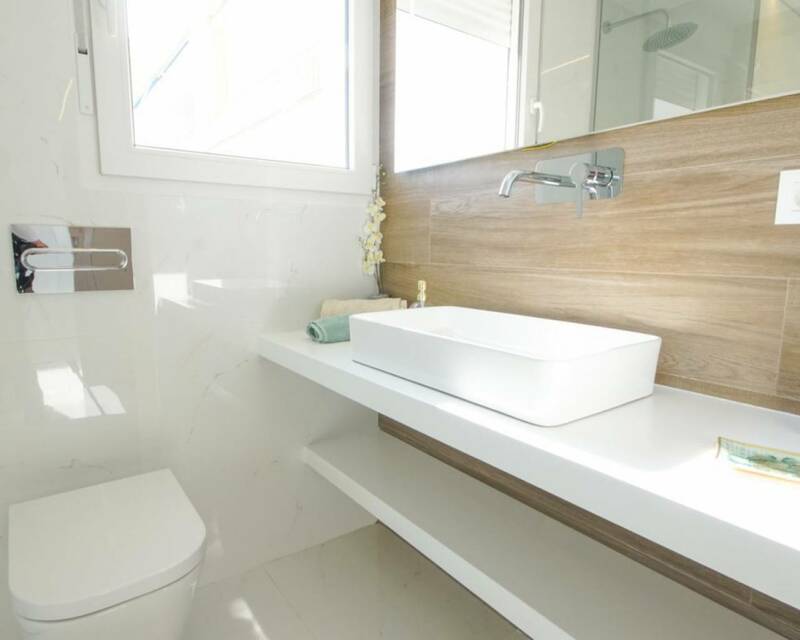 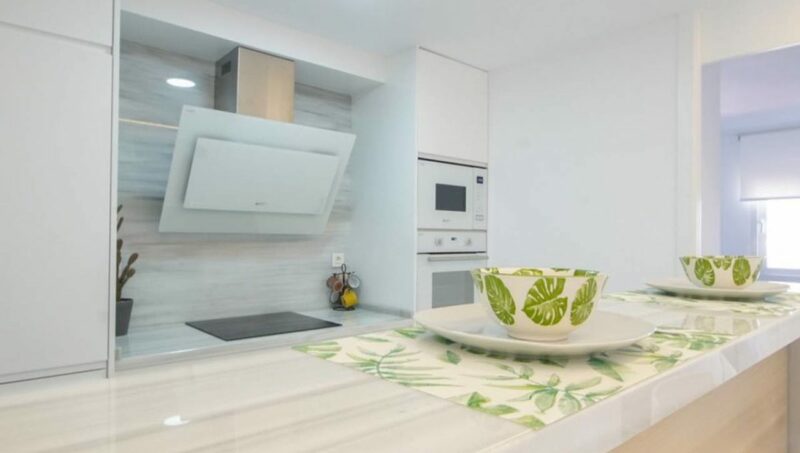 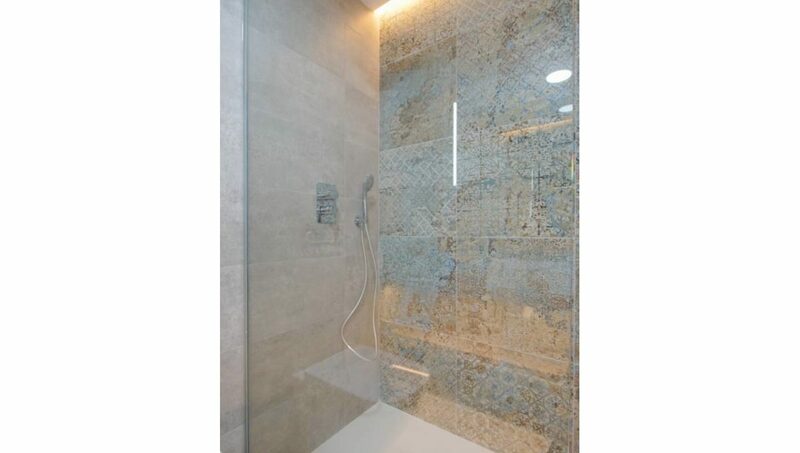 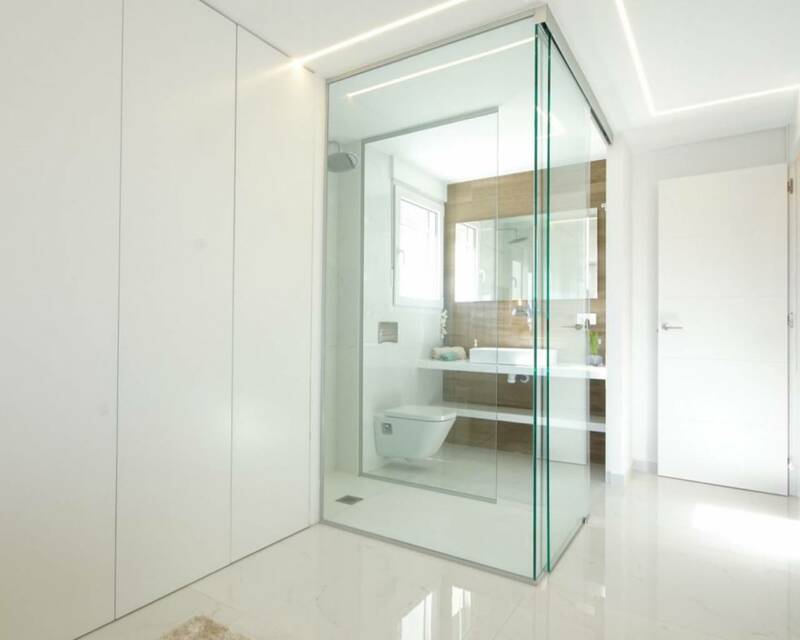 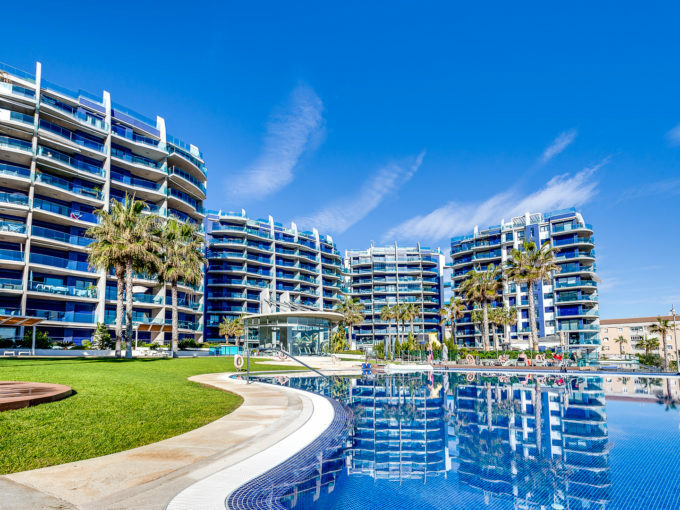 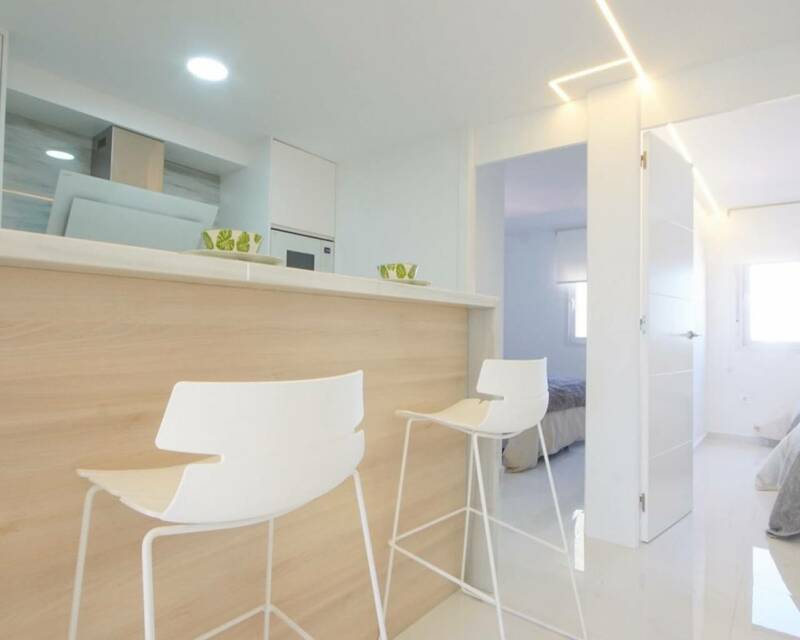 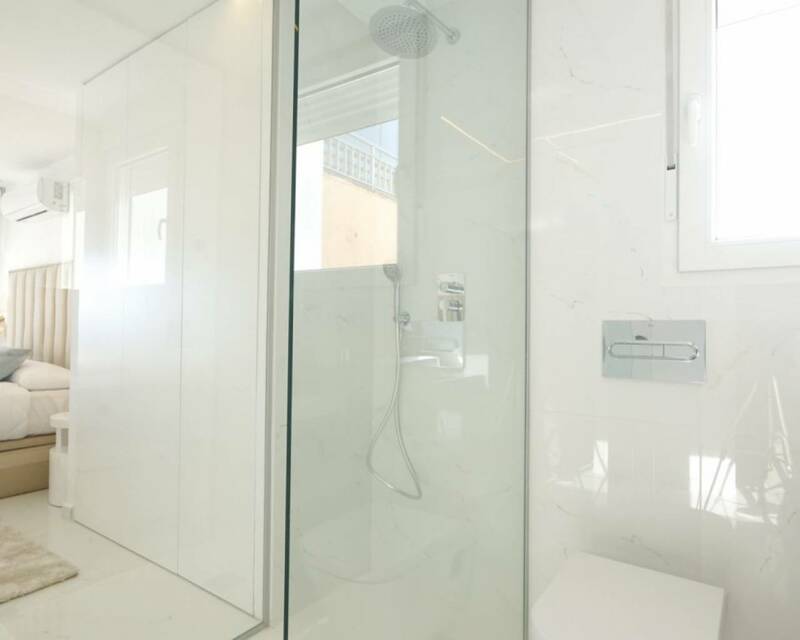 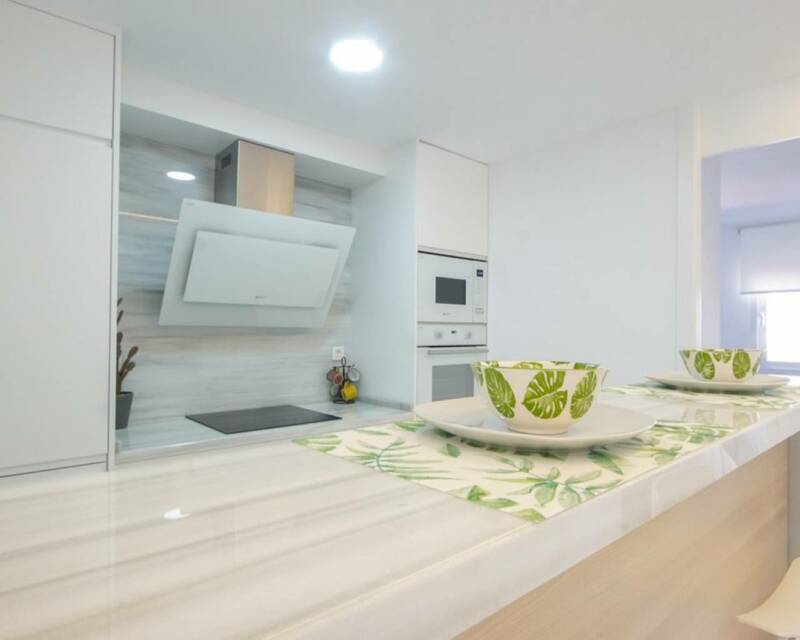 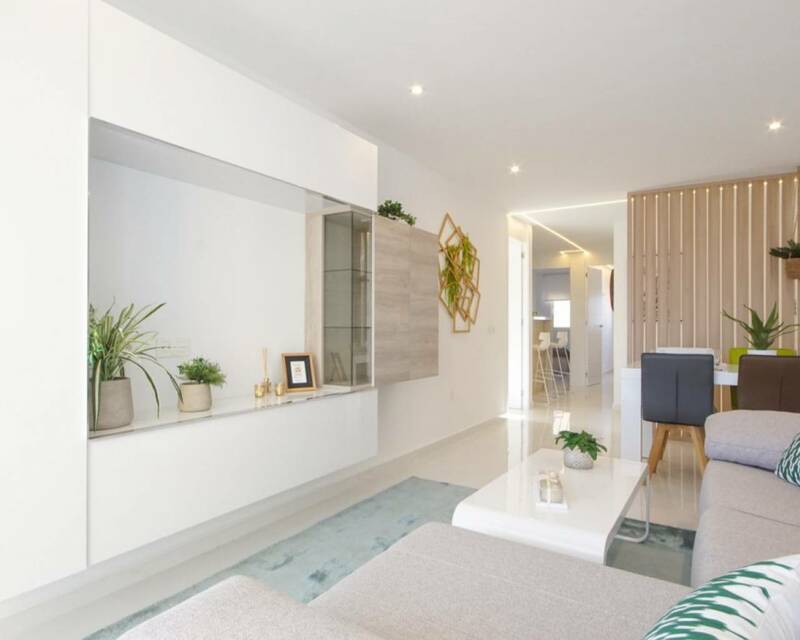 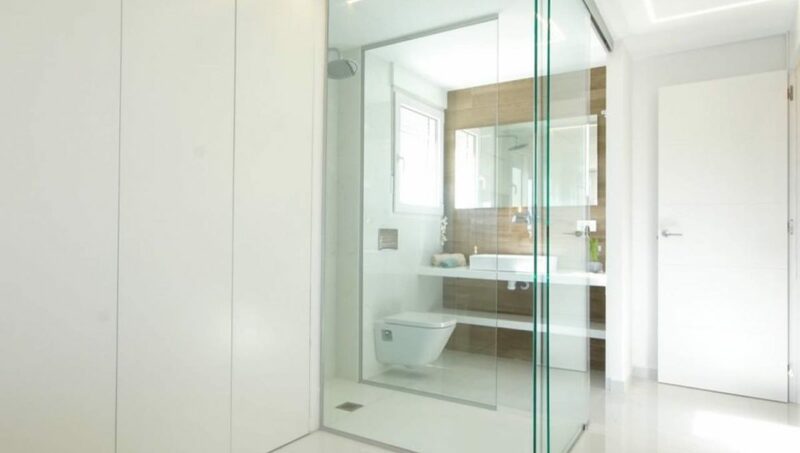 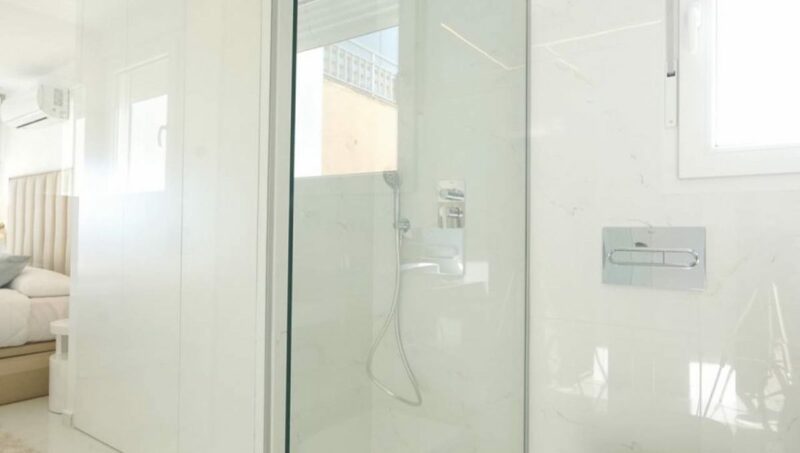 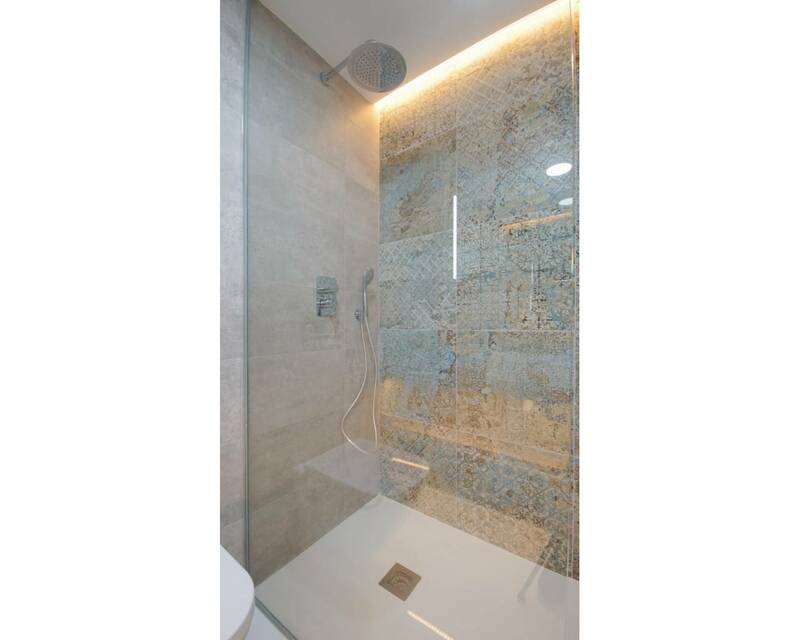 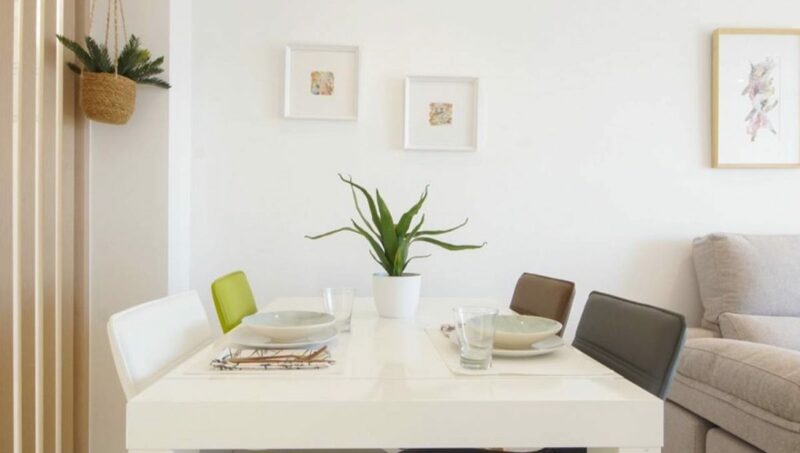 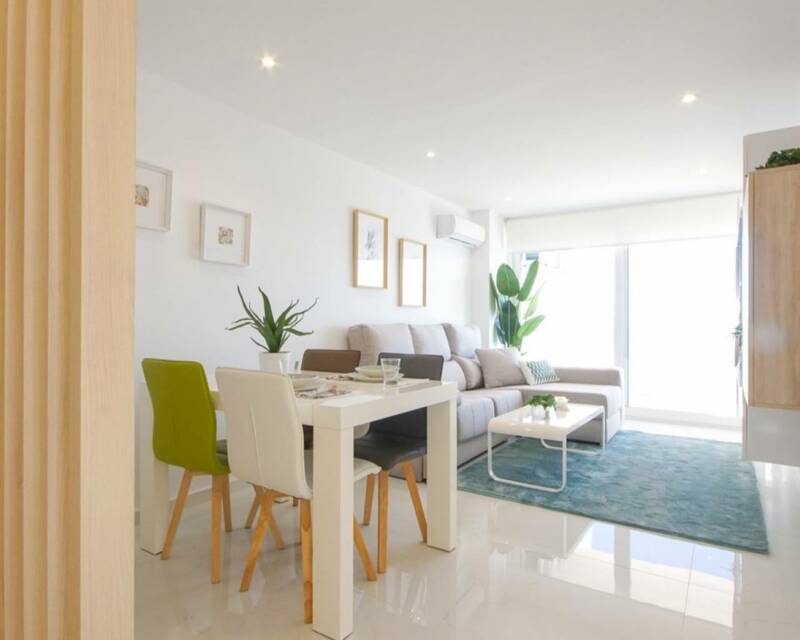 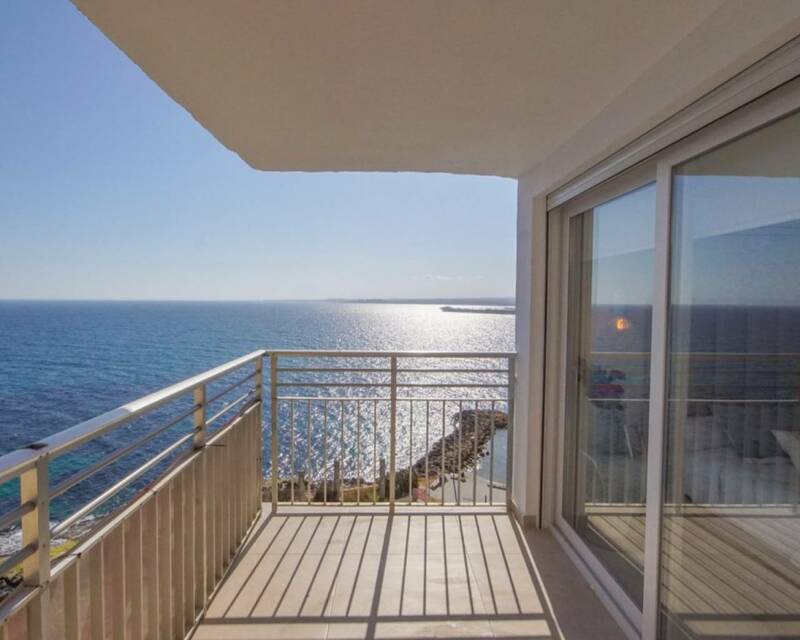 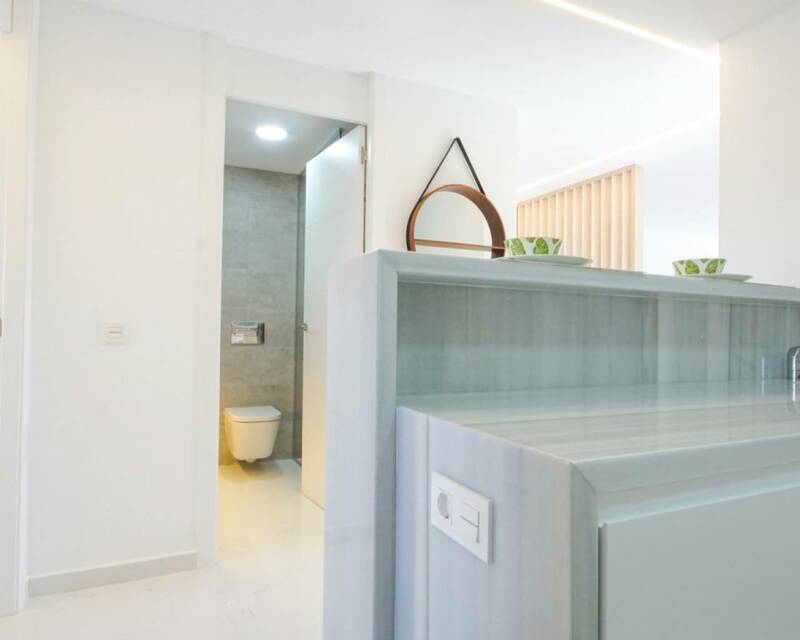 First line luxurious apartment for sale in Torrevieja.